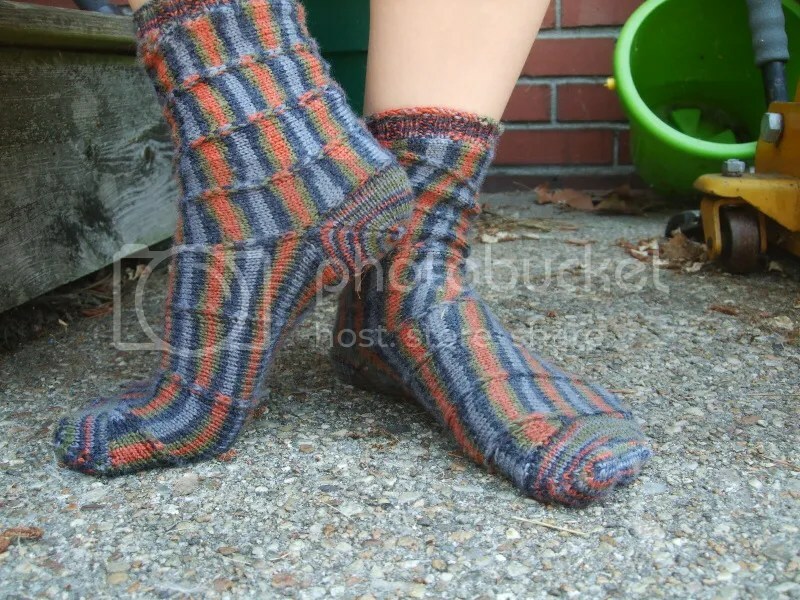 FO: Carousel Socks | Stitch, Brinn, Stitch! 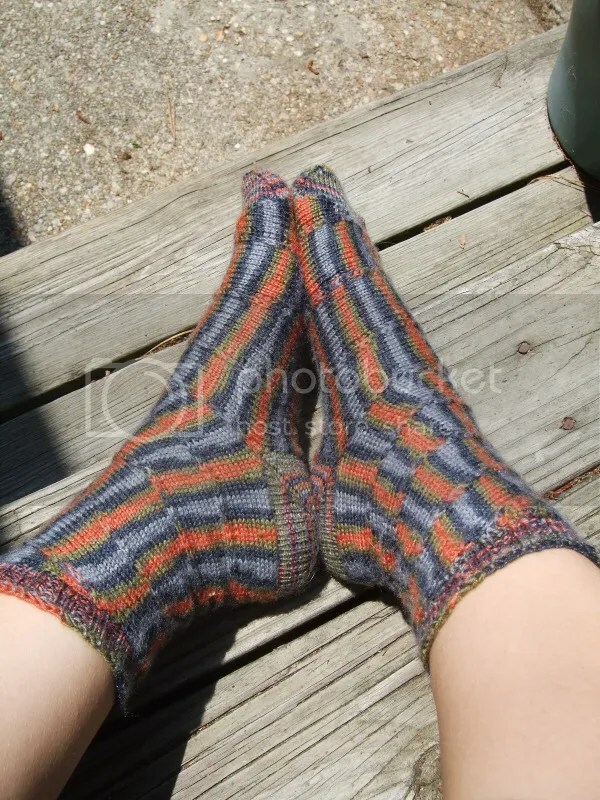 So I finished those Carousel Socks. I love how they came out. Mods: Changed the short row heel to an afterthought heel. Used ribbing instead of the picot edging. I’ve decided I quite like the afterthought heel. I’m not sure I’ll use it again because I love a good flap/gusset heel, but the possibility is there. They fit pretty well, which was a little surprising seeing as a short row heel doesn’t really work for me and they’re supposed to fit about the same. The construction of this sock was super fun and I recommend it highly to anyone looking for something easy but interesting. At no point did I get bored with the knitting and I will definitely be making this pattern again, probably with a woolier yarn. I appear to be on another sock jag and have cast on for a pair of simple striped socks to keep in my bag. But more on those later. Carousel socks. Go make some. Brief fannish aside: OMFGWTFBBQ X FILES. Love. There will be crafts.